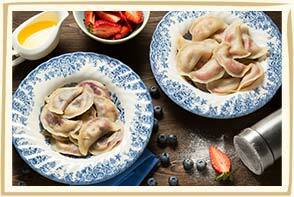 The Ukrainian cuisine restaurant Petrus in Kyiv welcomes the old and the new friends! The successor of the legendary “Varenychna No. 1”, Petrus stayed true to the best national traditions, seasoning them with some European gastronomical trends. The perfect location of the restaurant – in Pechersk, the historical center of Kyiv, allows making the architectural, historic and gastronomic discoveries of our country at the same time! Ukrainian cuisine lovers visit us to enjoy the wonderful dishes and the incredible atmosphere, and to feel what a real hospitality is! We make it warm and comfortable for everyone – just like at home! Our guests know that Petrus is one of the best Kyiv restaurants to invite the foreign visitors to get to know the national cuisine. 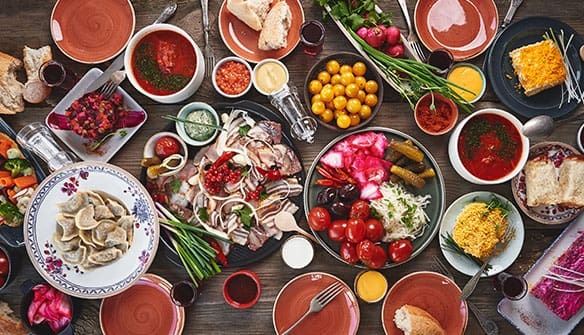 Homemade cured pork fat, pickled food, 13 types of varenyky, made of special thin dough, potato fritters, classic dumplings, halushky (donuts), cabbage rolls, borsch with pampushki (garlic donuts) — having tried all these fine cuisine dishes, the foreign guests fall in love with Ukraine forever! 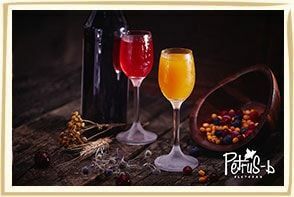 Still, the fans of European cuisine have a variety of dishes to choose from: Czech ham hock; Ribeye and New York American steaks; rocket leaf and veal or tiger shrimp salads; BBQ veal medallions; dorado fillet with vegetables. 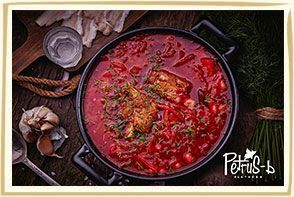 It is always delicious, comfortable, authentic and vibrant in Petrus, the Ukrainian cuisine restaurant!